Suzanna Thach started in Workers' Compensation law as an Applicant's attorney, transitioning to defense shortly thereafter. 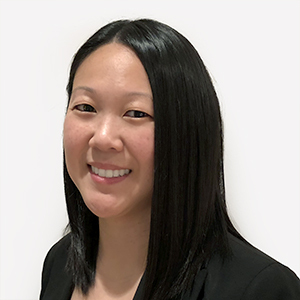 Suzanna joined the San Francisco office of Mullen & Filippi in December of 2017. She represents the interests of insured employers and insurance carriers with respect to workers’ compensation claims and related matters. Suzanna received her bachelor's degree in Philosophy with a minor in Political Science from San Francisco State University in 2006. She received her Juris Doctorate from University of the Pacific, McGeorge School of Law in 2012, where she achieved the Dean’s Honor List. Suzanna is an active member of the State Bar of California. I was drawn to the practice of Workers’ Compensation because of the sense of community. I enjoy working with all parties to achieve fair and just resolutions. My favorite vacation consists of being on a tropical island. I love the soothing sounds of crashing waves and relaxing on the beach.